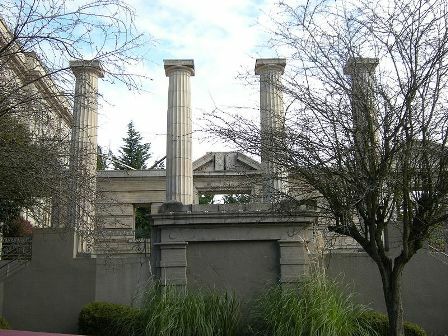 Temple De Hirsch is one of the oldest and most prestigious synagogues in the Pacific Northwest. Originally founded as a Reform Synagogue, Temple De Hirsch is renowned for its choir, one of the most famous Jewish choirs in the world. The quality of the synagogue’s music program is due wholly to the efforts of one Samuel Goldfarb, who was the music director there for nearly four decades. Goldfarb had another claim to fame, as the co-composer of that most famous of Hanukkah tunes, I Have a Little Dreidel. 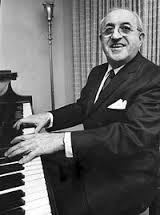 Samuel Goldfarb was born in 1891, and was a prominent member of the New York Jewish composer scene during the early 20th century. His early life work revolved around compositions for Broadway. He later branched out into writing music and songs with Jewish themes, primarily festive pieces to be sung by Jewish children. At some point during the 1920s he teamed up with lyricist Samuel Grossman and penned the now famous Dreidel song. In 1930 Goldfarb took the position of music director at Temple de Hirsch Sinai, which he held for nearly forty years. During his time there he worked tirelessly to make Seattle a mecca for Jewish music. Throughout his tenure he trained thousands of singers and musicians and founded a number of choirs. Some of these are still active to this day. As to the Dreidel song, it is now the unofficial children’s anthem of the Hanukkah holiday. Temple de Hirsch Sinai is one of Seattle’s most prestigious synagogues, and they still maintain their tradition of musical excellence. As of this writing no information was available for visiting the Temple. Web: www.tdhs-nw.org (official website of Temple de Hirsch).